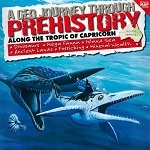 A sinking coast, a chain of eruptions, and many millions of years created the Tropic of Capricorn’s stunning seascape. 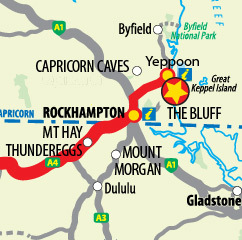 Volcanic plugs, a gorgeous headline, and the world famous Great Barrier Reef remain a testament to this ancient world. For more information about Capricorn Coast National Park visit Queensland Parks and Wildlife Service (Phone: 1300 130 372). 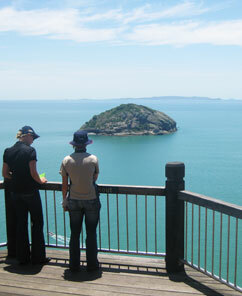 From Yeppoon you can hop aboard a regular ferry to scenic Great Keppel Island.